Do you have an ideal body weight for yourself in mind? You’re not alone! Many men strive to achieve weight goals that relate back to a time when they were younger and felt better physically. But setting an ideal healthy weight for a man is harder to do than just pulling a number out of the past. There’s a common idea that men do not focus as much on their overall health and wellness as women do. While that may be true generally, weight is often a different story. Most men actually do care a lot about their weight and are just as conscious of weight issues as women appear to be. Weight is a very personal matter, and there’s no magic number that works for everyone, but keeping your weight in check is a key component to your overall health and wellness. No one wants to experience negative health effects in the prime of life, so maintaining a healthy weight is crucial to general wellbeing and to warding off some pretty serious health conditions down the road. So how do you find your healthy weight? 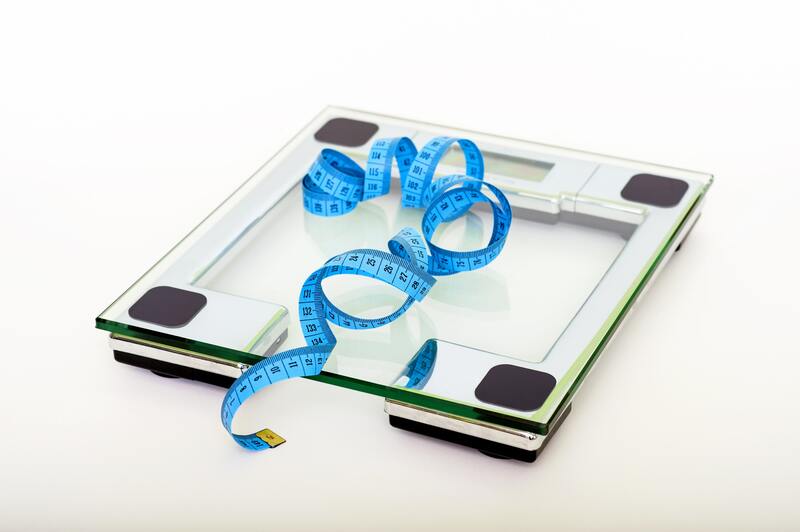 Knowing your body mass index, or BMI, is a great starting point for determining a healthy weight because BMI consists of factors you likely already know about yourself. BMI is a calculation based on height and weight. While BMI is a great starting point, it’s not a universal indicator of healthy weight. For instance, BMI is not as accurate for individuals with more muscle mass or for people who workout with weights often. Several factors can play into your ability to quickly gain or lose weight. Genetics, your metabolism, your diet, and the amount of exercise you achieve all play a major role in how your body copes with weight. We know genes have a role in obesity. However, outside of a few disorders, genes need behavior to be exhibited or expressed. In other words, our tendency to overeat and to be lethargic creates an environment that allows these genes to be activated. Metabolism, our body’s process of converting what we eat and drink into energy, can be a very complex process. Most people think that starvation diets are great because you lose weight fast, but some scientists are saying that these methods can actually permanently decrease your metabolism. This theory may explain why lost weight comes back so quickly, and sometimes in excess, after dieting. Exercise, diet, hormones, disease, caffeine, and muscle mass all affect our metabolism. A key to a healthy metabolism is to be active, to practice cardiovascular exercise and weight resistance training, and by eating more frequently and making more nutritious food choices. The biggest factor in determining weight gain and loss is how much and exactly what you eat. If you do not burn the calories you consume, those calories will be stored as fat, and you will gain weight. Many people would be surprised at the amount of calories they consume on a daily basis. If you eat out frequently, it is easy to consume a surplus of calories. I’m always surprised when I look at the nutritional value of a restaurant meal and it’s over 1,000 calories. Restaurant salads can even have more than 1,000 calories, which is unbelievable because it takes nearly 35 cups of broccoli to equal 1,000 calories! Many different diet plans gain popularity, but the simplest approach is to avoid breads, pastas, sugar, all sodas, and processed foods. In order to lose weight, you have to decrease your calorie consumption. An online calorie calculator is a great tool—based on your age, height, weight, gender, and amount of exercise, the calculator will tell you how many calories you need to maintain, lose, or gain weight. NOTE: If your caloric intake is primarily from whole foods, you will feel satiated longer and have more energy. In order to lose weight, you need to burn more calories than you consume in a day. You burn calories by doing pretty much anything in your life from breathing to drinking water, but exercise is crucial to burning off the excess. Cardiovascular exercise, or cardio, is a great fat burning tool for starters, but both cardio and weight training are crucial for fat and weight loss. The key to exercise is finding an activity you enjoy—even better, find a friend who likes to do the same thing, and you will have an accountability partner. If you are currently not exercising, a good plan is to walk from your house for 10 minutes then turn around and walk home. As that task becomes easier, add 5 minutes until you are walking for 45-60 minutes 3-5 days each week. This is a great way to start increasing your metabolism and get your blood moving. NOTE: For heart health, always consult your primary care provider before beginning any new exercises. FUN FACT: How many calories do you burn if you WALK versus RUN three miles on level ground? It is the same—300 calories! One is just done much faster, so slow and steady really can win the weight loss race. Weight training should come after you are able to walk three miles 3-5 times each week. The easiest way to start weight training is with crunches and push-ups. You don’t have to perform these exercises quickly; it’s more about technique and form. The first time you do it, see how many crunches or push-ups you can do without resting. After that, add two reps per week. NOTE: When beginning weight training, remember that muscle weighs more than fat. The fit of your clothes will be a good indicator of how your weight is being redistributed. Your waist should get smaller as arms and shoulders get bigger. Being overweight can be a very complex issue that can make even the most confident person self-conscious. Getting started can be overwhelming with all the temptations and advertisements for unhealthy foods surrounding us every day. The Internet is a great resource for tools and information to empower us and give us the motivation we need. Remember to keep it simple, find an enjoyable way to be active, and be mindful of what you are putting in your body. Healthline.com. Here Are 5 Ways to Tell If You’re Overweight. CDC.gov. Other Factors in Weight Gain.